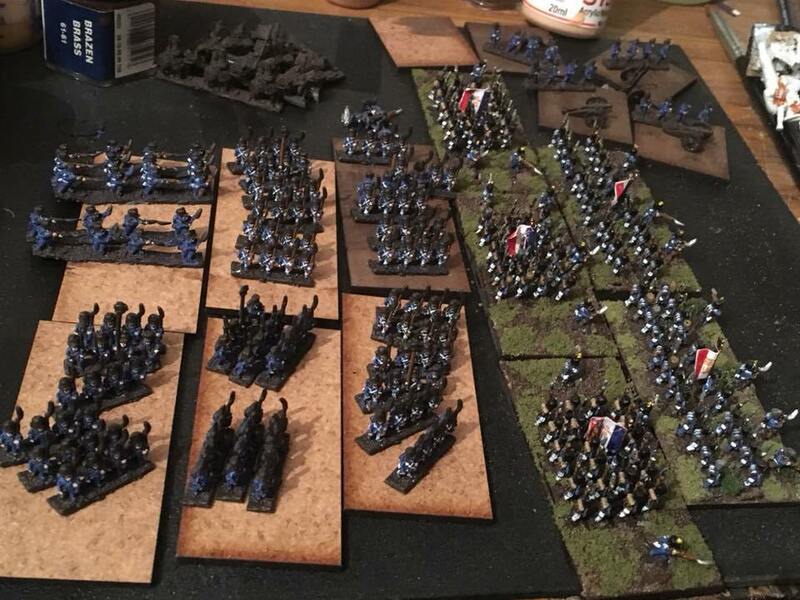 Some good progress from the club this month. 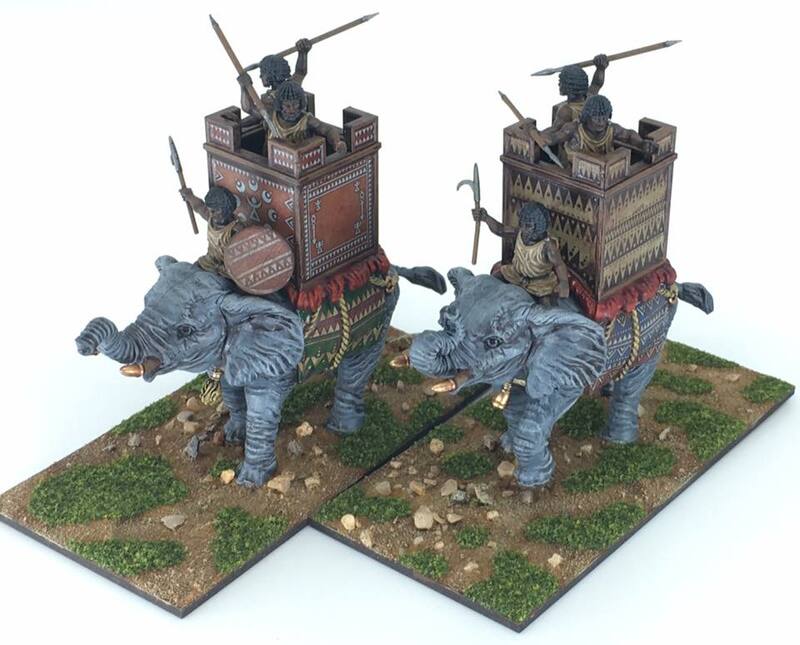 Paul has some historical elephants pulling double duty as monstrous beasties…griffons are historical right? They’re in the tapestries and murals so they must be! 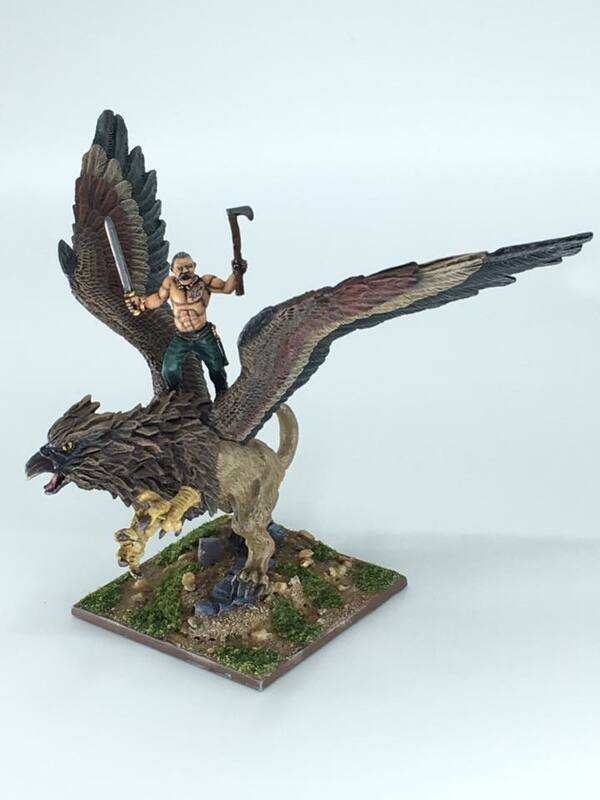 Paul Townsend complete one element (troop, character, warmachine or monster) for kings of war _or_ three bases of 6mm napoleonics each month to a gaming standardI pledge to update http://Hobbybrush.com at least once a month, to encourage my own hobby and further promote that of the club General on winged beast (a Dacian on a griffon…) for my KoW / Roman forces, and two additional Numidian War Elephants aka beasts of war within the same force. Three big guys this month. 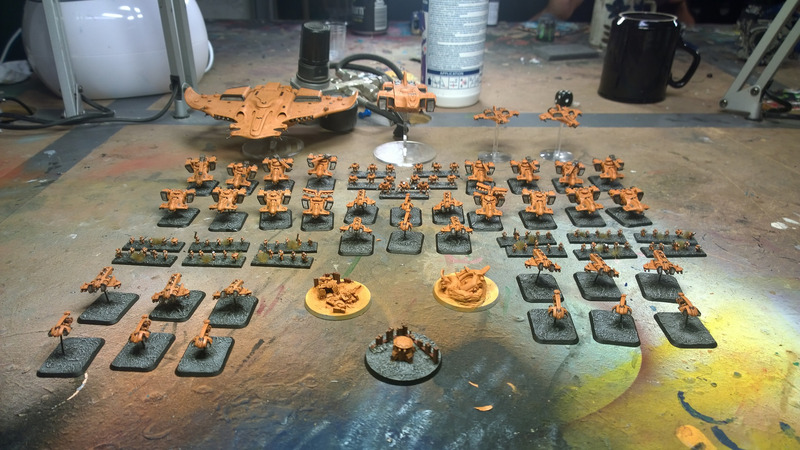 2018 Guildford Games Club Painting Challenge: March! Paul has continued with one of his objectives and updated Hobby Brush, his website, with his excellent Pike and Shotte era models. Go and check it out here! 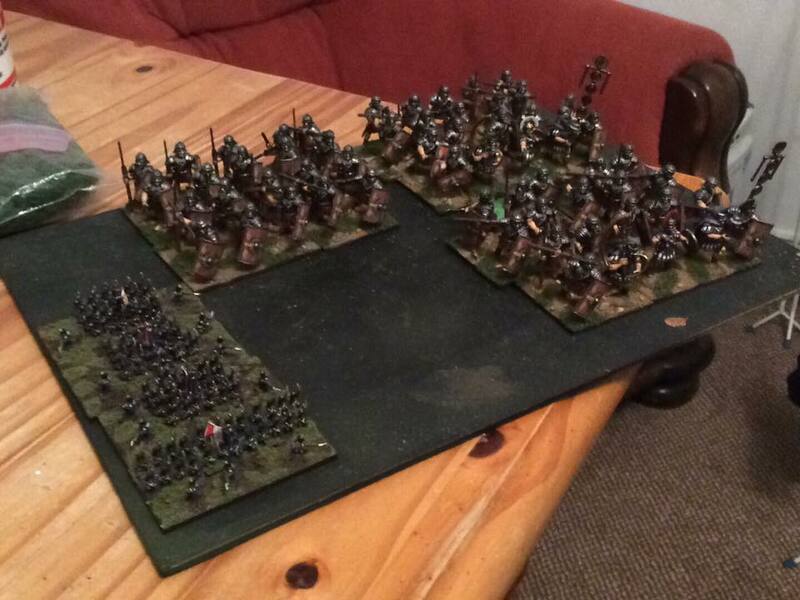 Ash March has also been very busy painting Orcs and Bretonnians. 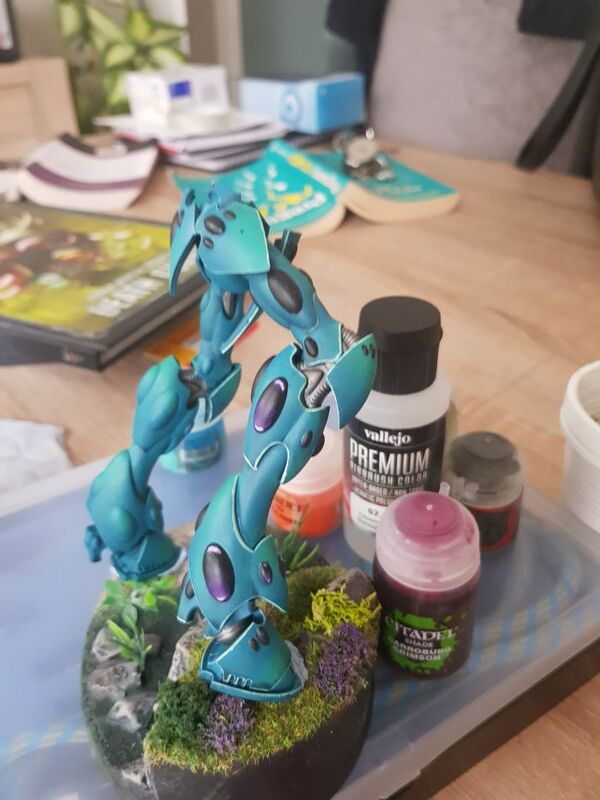 I pledge to update http://Hobbybrush.com at least once a month, to encourage my own hobby and further promote that of the club Hobby butterfly struck early this month, followed by simply no painting for the latter part. 2018 Guildford Games Club Painting Challenge: January! 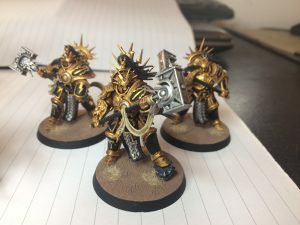 David Last Completely paint and base 200 models by Dec 31st 2018, learn how to paint glowing energy ‘power sword’ effects 77 models completed! I pledge to update http://Hobbybrush.com at least once a month, to encourage my own hobby and further promote that of the club shields have finally been finished and they’re based at last – so progress on models which have been on the go since last April!! Update to the Hobbybrush is in the works but I broke it rather than updating it when trying to change the gallery format….. but I found time to try – that counts, right? 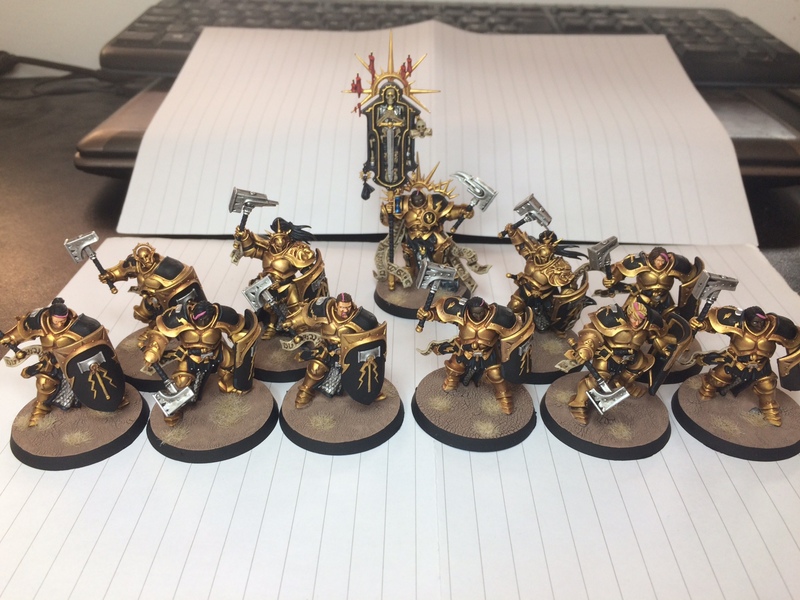 2018 Guildford Games Club Painting Challenge: The Pledges! 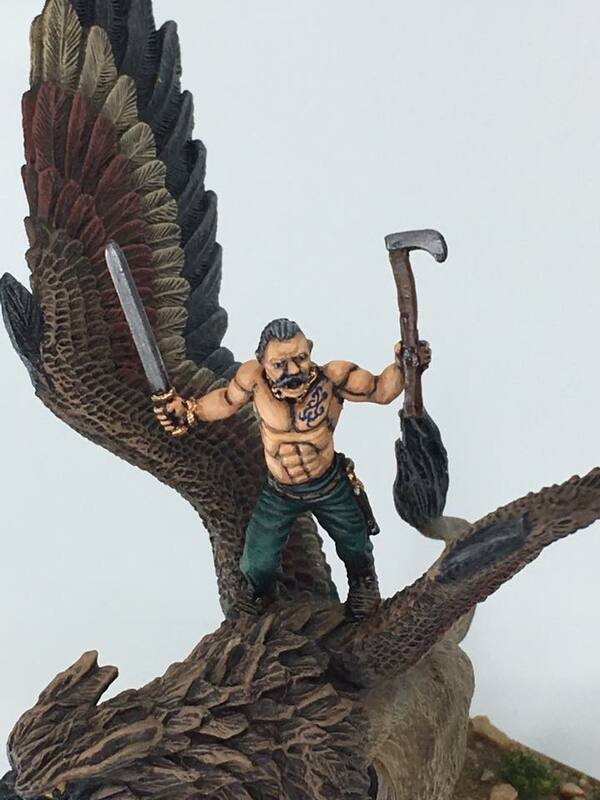 For 2018 the members of the Guildford Games Club will be setting themselves miniature painting challenges and throughout the year we will be tracking that progress, posting up images of work people are proud of and generally celebrating the painting and modelling side of the hobby. 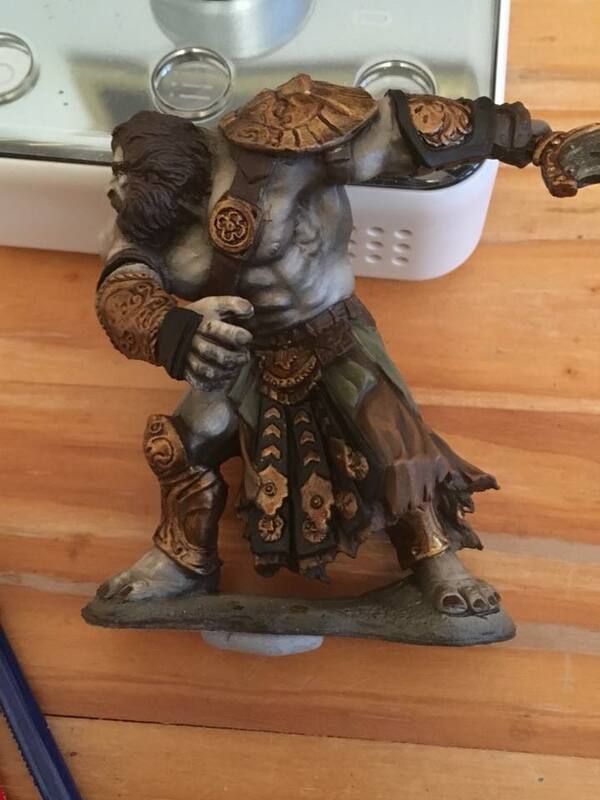 The rules are very loose, people can set themselves whatever painting challenges they want – be they miniatures, terrain, conversions, new painting techniques, etc. – and they can decide when they have achieved them or whatever milestones they want to set. Furthermore it’s not a competition, not to find who can paint the most or paint the best or convert the fanciest. The aim is to encourage people to paint more and to celebrate the painting that they do! An Alternative Epic Team Event? 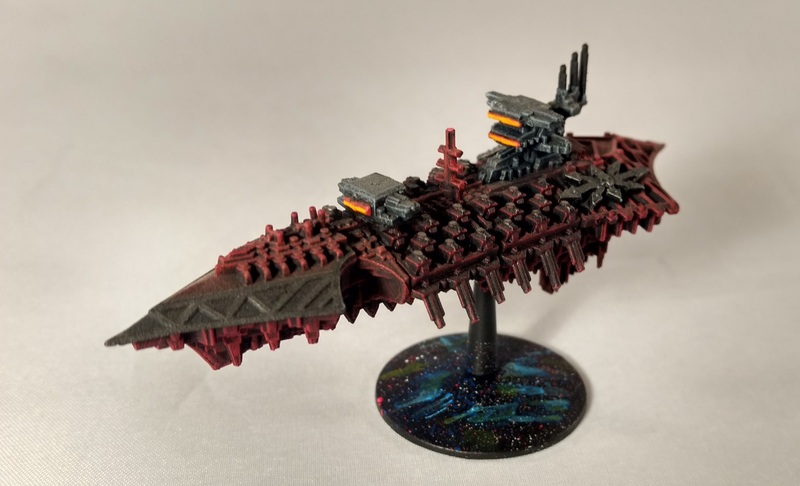 In September 2018 I am running a custom team event for the game Epic: Armageddon, the structure, custom rules and other ramblings are below. A full day of gaming, 3 rounds where players are in one of two teams and face off against the opposing team. Between each game round there is a planning phase where new lists can be drawn up, matchups planned and various ‘special cards’ can be played to grant the playing team an advantage. These special cards provide the ability to manipulate the match ups for the next round with the intention of adding some ability to prevent bad pairings for your team or force advantageous matches for your team. 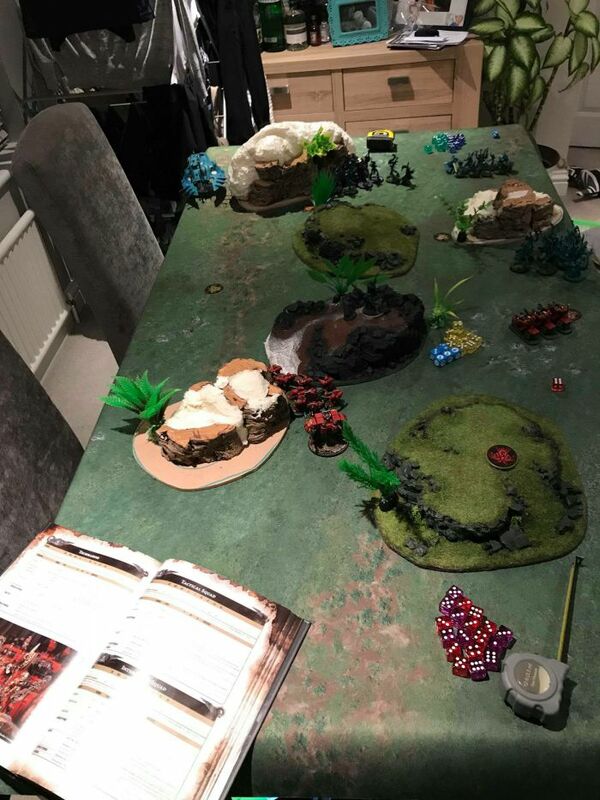 Some tables will also have non-standard terrain setup to make choice of table to play over another factor to consider. – Be something different and fun on the EpicUK calendar! 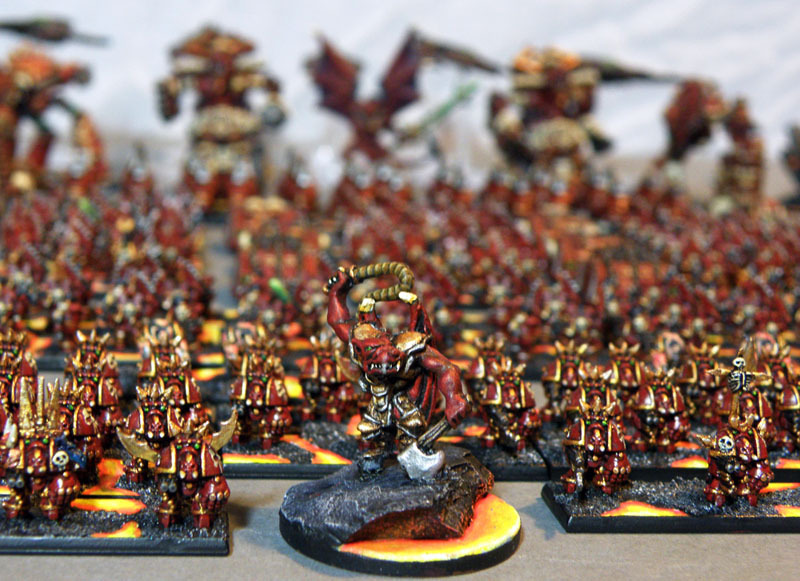 – Players bring ~3k points of their chosen faction (they can bring fewer or more of course! ), they do not need an army list prewritten and they can (and probably MUST) change what they take to the table each round. What they take to the table on any given round must be legal though, so if they have minimums those must be taken, titans 3rds must be adhered to for the points total they bring to each game, etc. Overall a total of [team size] tables are laid out. E.g. : 7 players on a team means 7 tables and each team gets (7+1 = 8) * 2000pts = 16000pts to spread out onto those 7 tables. Yes this means that there is no easy ‘oh just stick 2000pts on each table’ option, some tables will have greater or fewer points and they may end up against larger or smaller forces. This is as intended. Due to the team planning phases expect things to take longer, draws to be a bit more common, etc., they will eat into the ‘faffing around’ time. After both teams have passed on the chance to play any more cards the team that is ‘picking tables’ now picks one of their players (that has not already been assigned somewhere by the special cards) and one of the tables (that does not already have one of their players assigned to it by the special cards), that player will now play on that table for the next round. – During the first round of the tournament each team is allocated [number of tables] special cards to use for the entire tournament, see the list below for details. Points allocated don’t have to be even between players on the same team, do not have to match the points given to their opponent and do not have to be nice round numbers either – if you want to assign someone 1995pts that’s completely fine, even if they end up facing someone who brought 1001pts. Note that ‘playing to draw’ or ‘playing to defend points’ is perfectly legitimate and part of the overall team strategy for the event. With the 15 minute planning window mistakes in army lists can be made and I ask that all participants are understanding of this. If, however, the mistakes are especially large (which is left vague at this time) then penalties such as being limited to at best a draw or tournament point deductions can be applied. Hopefully this will never come up! – Each card will tell you when you can play it and what it does. See the end section to see the cards. — If they fail to declare these details within 30 seconds then the team playing this card gets 30 seconds to make that decision for them! — When allocating points to players the player going to the table targeted by this cards must be given that many points to use, no more, no less. – 1x It’s a Trap! Many thanks for the contributions of StevekCole, RichardL, Paul Townsend (link to Hobby Brush Blog), Joel Mart (link to their blog), Shawn Gleason and Philip Hertel (link to their Flickr)! This time we’re having a look through the remaining forces of the Xenos! Little coordinated theme between them so not a lot of shared characteristics to comment upon before we dive in. 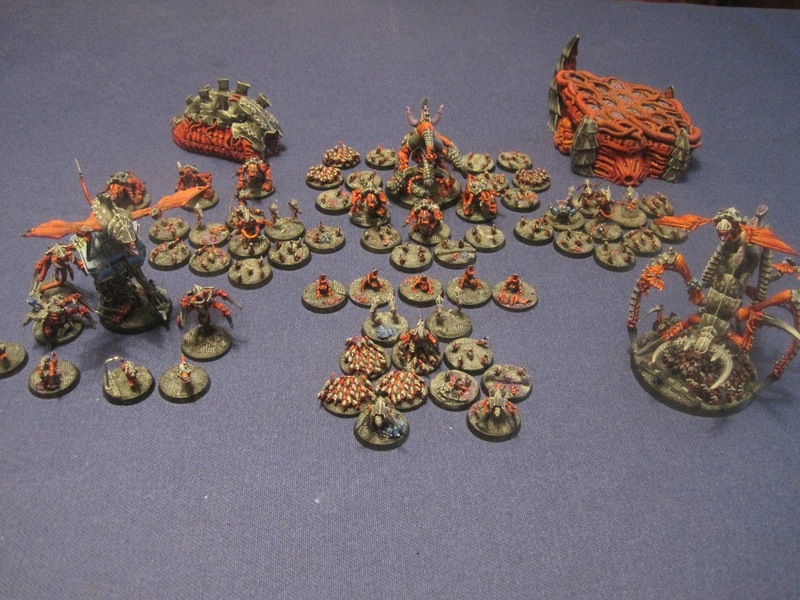 Of note is that I do not personally own nor play any of these armies and have only experienced playing against them. So, I have sought out great (hive?) minds to guide me. This section has been provided by returning grand conqueror StevekCole! All shall kneel before him. On a basic level they play somewhere between Steel Legion and Ghaz Orks. As such they’re a lot of fun. They have a broad selection of units and troop types which allows for a wide range of list types. You can go for a fast moving biker and infantry army, a gunline, a wall of war engines or something more balanced. Lacking any serious special rules (except tunnelers) they’re a straightforward army to learn to play with and against. On a basic level, squats are bullies, they use their excellent shooting to either reduce the opponent’s activation count or soften up tough units before assaulting the shattered remains. It’s typical to find a squat army sitting about 1/3 of the way up the board with its infantry in cover and its war engines trying to dominate good movement corridors and sight lines. One of the key decisions, and this is primarily playstyle is whether you go for a smaller (eg 10) number of very solid activations, or a higher number (12-13) of less powerful units. Unlike with armies such as Biel Tann or space marines, both approaches are equally viable and more a matter of personal taste than necessity. Any epic army is only as good as its core units and squats have a pretty solid core comprising of berzerkers and infantry. Both units give you decent infantry units, in reasonable numbers in rhinos with the bonus of inspiring and leader from the hearthguard. Personally, at a base formation level bezerkers win out over infantry due to their lower cost. However, I’m a big fan of beefing up infantry formations into 21 model (14 infantry, 7 rhinos) versions. Both units also have the option of taking warlords who are fantastic units, making the unit more durable, with double leader and commander. It’s usual to see 3-5 units of infantry/bezerkers at 3k. Get them forward, into cover, near objectives in mutually supporting positions. Don’t expect even a beefed up infantry co to stomp on elite assault troops. Instead they can be very effective either sitting defensively, using clipping assaults on blast markered targets, or just beating up on smaller weaker formations (I told you, squats are angry little bullies). You can deploy via tunnelers rather than rhinos. Doing this will occasionally come up trumps but more often than not you’ll be down an activation for 3 turns and then your troops will be standing there with their beards in their hands as you lose the turn 3 strategy rating. Possibly the most contentious part of the squat army. Also, for me, the most misunderstood. Personally, there are two must have units here. Thunderfires are possibly the best AA unit in the game with 6 armoured vehicles (if you take the no brainer addition of rhinos), 60cm range and good mobility. Get them in or behind cover and keep your forces safe from fighters and get the all-important blast markers onto air assaulting units. One tip is to keep units within 30cm of each other meaning most fighters trying to ground attack them will be taking up to 6 shots when they come in. The other must have are gyrocopters. They’re the only squat unit with scout (so give you the all-important ability to screen your units), are fast, well armoured AVs with skimmer and battlecannons – what’s not to love? They can pump out a fearsome amount of shooting and their speed means they’re great at setting up crossfires. 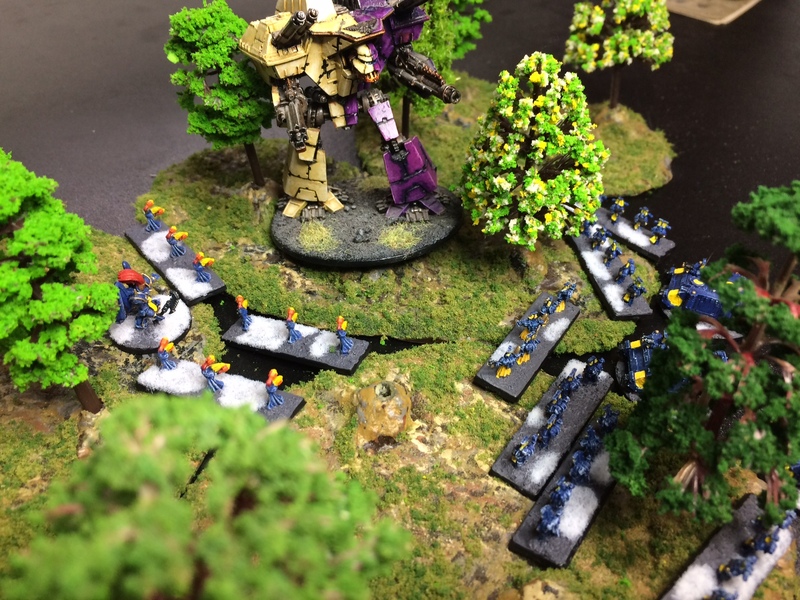 However, their key role is grabbing objectives on turn 3. As tempting as it is to commit them, almost the best plan is to stay deep and safe on your own side of the board plinking things with battlecannons before rushing out on turn 3 to seize objectives. In the middle camp of units are bikes, overlords, and light artillery (traditionally known as thudd guns). Bikes are a decent fast moving assault unit with a smattering of MW attacks, however as LVs they’re fragile and basically compete for slots with berzerkers. They can be very helpful clearing out units who get behind your lines. Likewise, overlords (who some players are convinced are brilliant) are perfectly solid units who can do a great defensive job on overwatch against races like eldar and tau, provide a very handy extra AA shot at 45cm but lack fearless so die almost instantly in assaults and as support craft are giant floating bullseyes for shadowswords. They also compete against gyros for slots. They’re best kept pretty deep with infantry support and used to bully (surprise) smaller more fragile units or pick off transports. 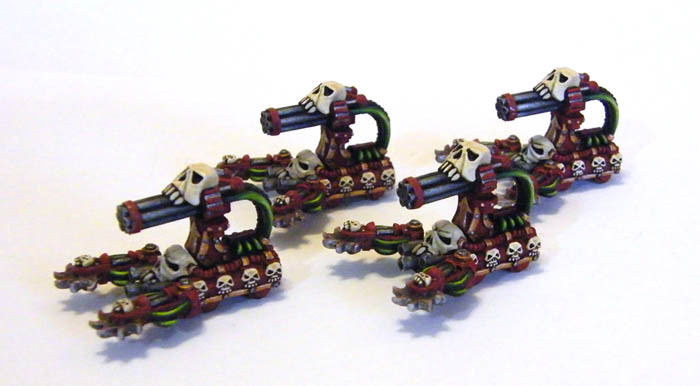 Lastly, thudd guns; garrison them off your blitz so that you can fire into your opponent’s deployment zone or use them to deal with scout screens (which squats struggle with) are a very solid choice. 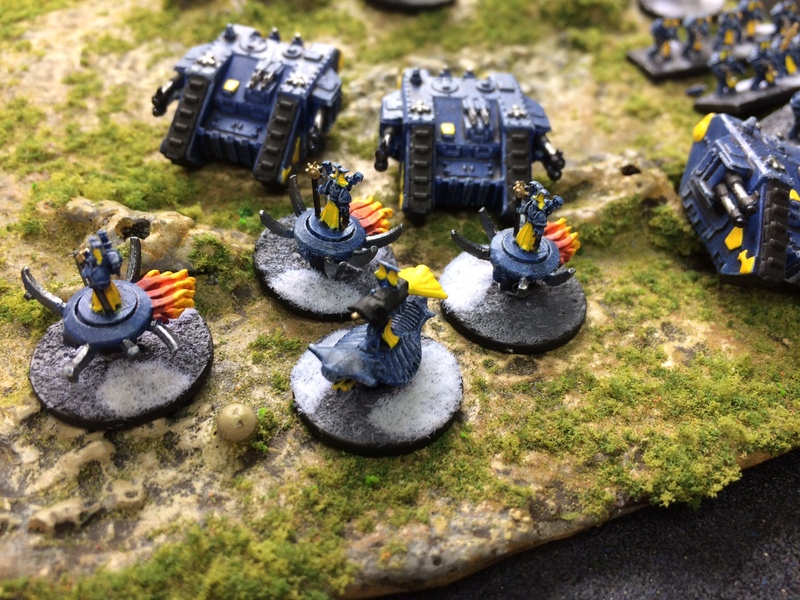 The weaker end of the spectrum are; thunderers an iconic unit who struggle in comparison to core infantry and don’t provide the shooting of gyros or overlords. Robots are ok, and mole mortars look great (6bp with disrupt) but with a max range of 60cm your opponent can easily neutralise them through decent objective placement or early doors fighter/air assaults. As Jervis helpfully points out the iconic Squat units are the war engines (Land Train, Colossus, Cyclops, Leviathan). All of these are excellent units bringing a minimum 4dc with reinforced armour, a bucketload of void shields and serious shooting (with 3bp 90cm macroweapon as a minimum load out). Each fulfils a slightly different role. 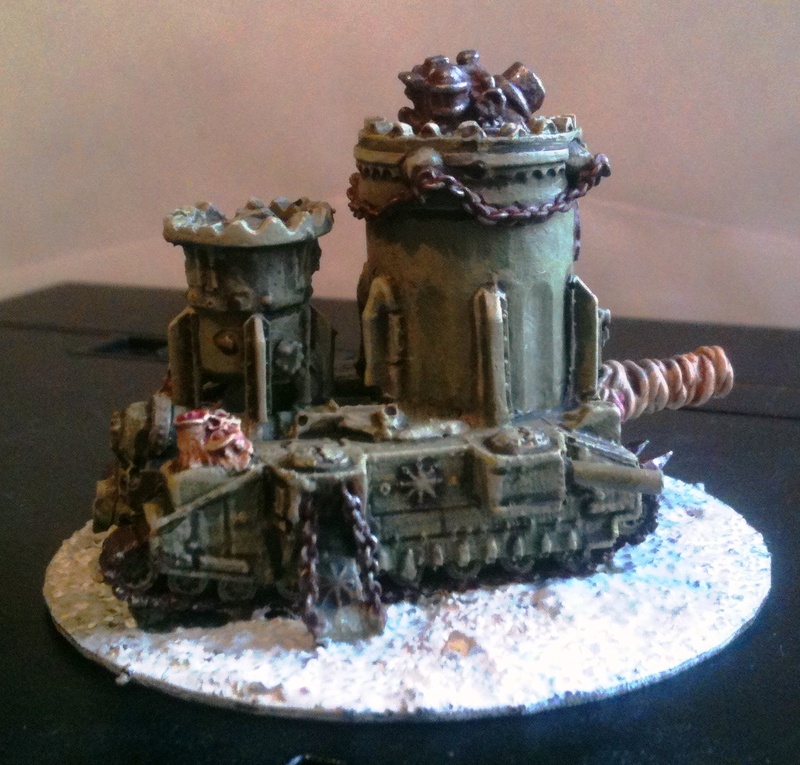 The colossus is an ideal ranged support unit with access to one shot indirect fire barrage and a bank of battlecannons, the land train is the only customisable war engine and can be built into a ranged barrage machine or an assault unit, the leviathan is cheaper and has troop transport capacity, while the cyclops is the most powerful single war engine killing unit in the game. 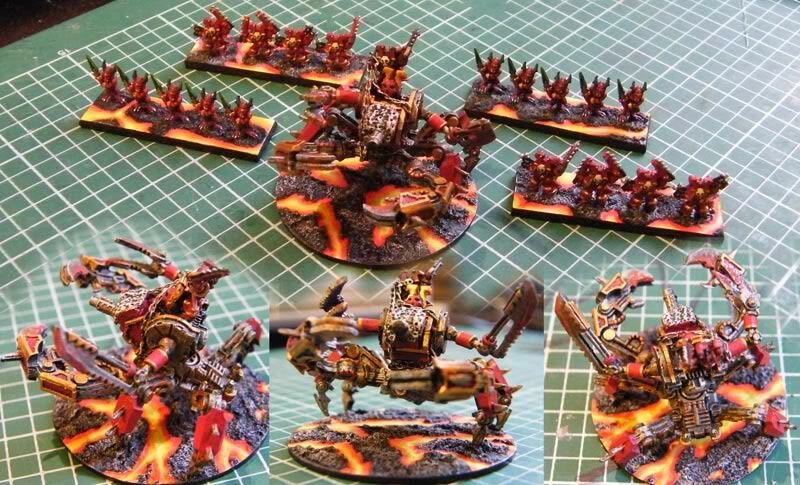 Typical strategies with these units are to run two war engines each about 45-60 cm from the left and right board edges and basically try to pincer anything coming into the middle of the board, or as with a gargant/warlord place your take and hold objectives within 30cm of each other and one of your opponent’s T&H objectives, sit a war engine in there (on your opponent’s board side) and watch your opponent struggle to shift it. The cyclops is slightly different as basically you want to chase down war engines or AVs (6 2+ 90cm rockets will make short work of the latter), you’re more likely to get pulled around trying to find decent fire lines so make sure that you always have an objective in mind for this to sit on. Alternatively, sit the thing in the middle of the board and create a 180cm no-go zone for enemy war engines. 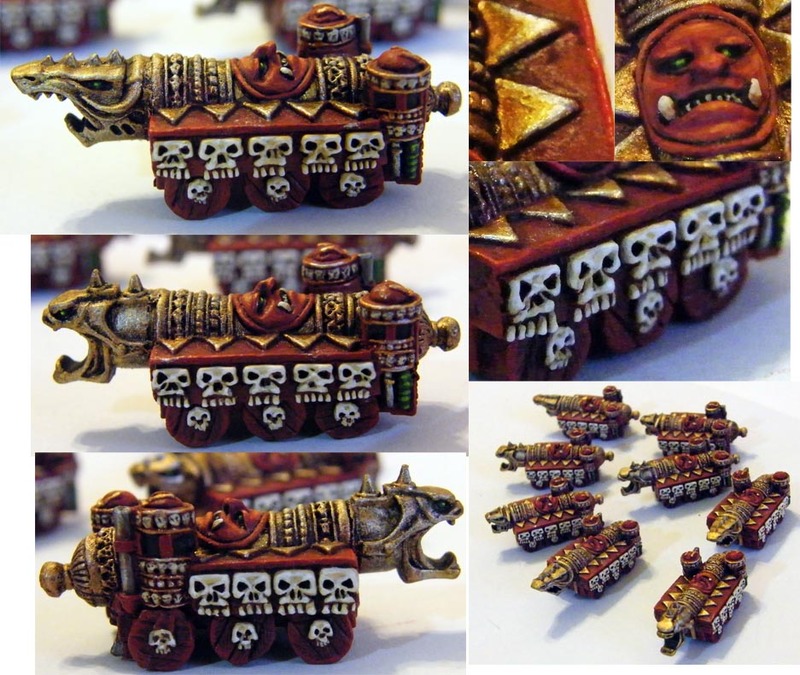 Oh, there’s also goliath mega cannons – when they’re good they’re very, very good, but when they’re bad they’re rotten. So, those are the units but what are the bearded shorties strengths I hear you cry? Well, some are obvious, and some are surprising! 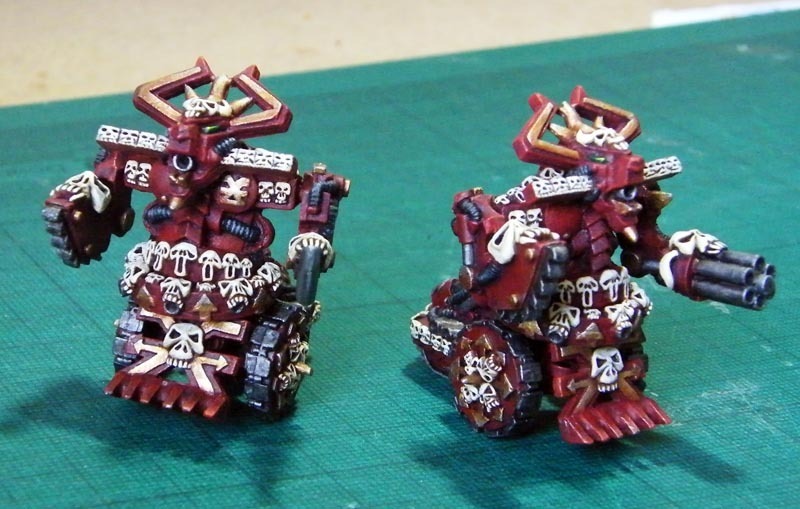 War Engines: War engines are great. Great shooting, solid in assaults, very durable reasonably costed. You’ll rarely leave home without one or two. AA: Your ground flak is fab, make sure you position it to create the maximum safety bubble for your troops. Squats have some of the best ranged fire in the game. Use it to soften up your opponents before they get close. Yes, speed. With the majority of their units in rhinos plus gyros and bikes squats are actually pretty nippy. Don’t be afraid to rhino rush enemy units or objectives later in turns. Do be careful to shield your rhinos from enemy fire early on as you don’t want to be demeched. 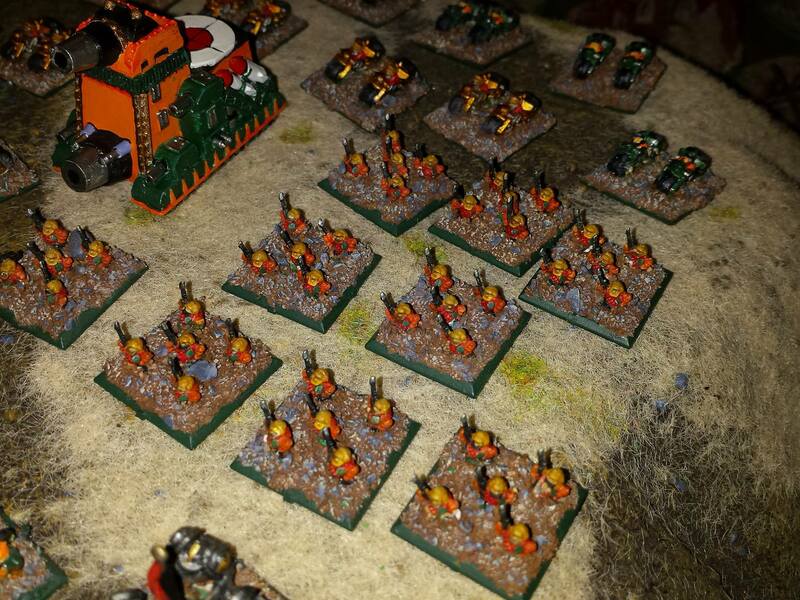 Like orks, guard, and tyranids squats can put decent sized blobs on infantry in cover and make them a pain to shift. Do so. So, while squats have great flak, they need it because they have no fighters, no bombers, and no air assaults. This means that if you step out of, or lose your flak bubble you’re in big trouble as there’s no back up CAP to save your units. Also, you lack t-bolts type units to finish off broken enemy units cowering behind cover. No cheap disposable scouts for squats. 250 point gyros or nothing. So you really struggle to speed bump your enemy, or screen out early terminator or air assaults. Gyros can do this, but you need them for many other things so it’s a really difficult call for a squat general. In addition, with the exception of thudd guns, you lack really good options for digging out well positioned enemy scout screens. Squats are good in assaults but not great, and assaults are what wins games of epic. You certainly don’t have the equivalent hitting power of aspects, terminators, chaos marines with daemons or guard in gorgons, indeed you don’t even have the punch of ork boyz in landas. Also, you have very few ways of getting macro-weapon into your assaults. As such you need to be very careful about who you assault and when. Also, you will often bounce when you expect to win. That’s life for the squats. Squats are one of the most iconic epic races and one of the most fun to play. Easy to learn but difficult to master they can suit a number of potential playstyles and provide a number of really fun and funny in game moments for both you and your opponents. What are you waiting for, get painting those beards! This section has been provided by the wily and cunning RichardL! Bow before his wisdom! 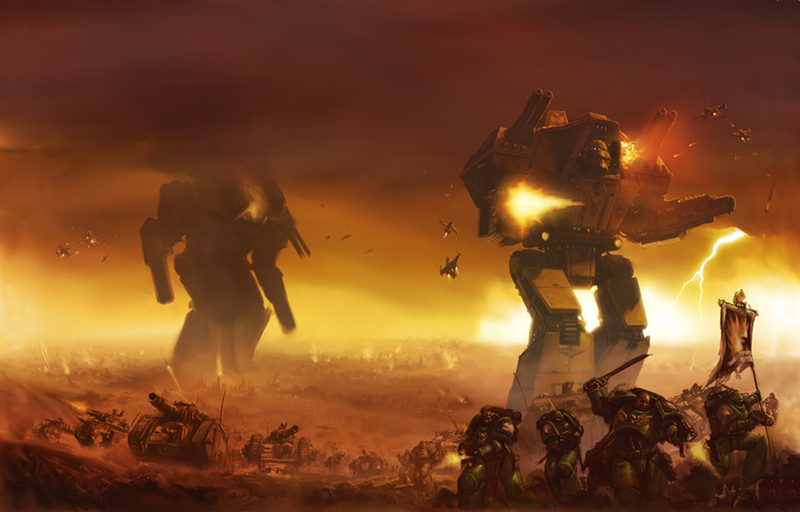 Tau are pretty much the only faction in the game that specialises in the ranged game rather than assault, or a mix of the two. They also tend to specialise within faction, and a unit will normally be strongly optimised for either anti-infantry or anti-tank operations. Their main strengths other than their ranged firepower is there mobility and their plentiful access to both lance and macro shooting, which gives them options for dealing with some of the tougher assault based lists. 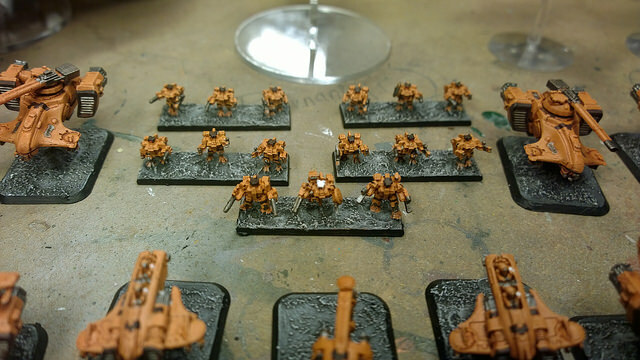 However, this is offset somewhat by their weaknesses, primarily that of being lackluster in assaults, especially if said assault heavy armies get to them, and being disproportionately affected by suppression compared to other armies who can still be mostly effective going into an assault, while Tau will find their shooting game drop off dramatically from a few casualties. 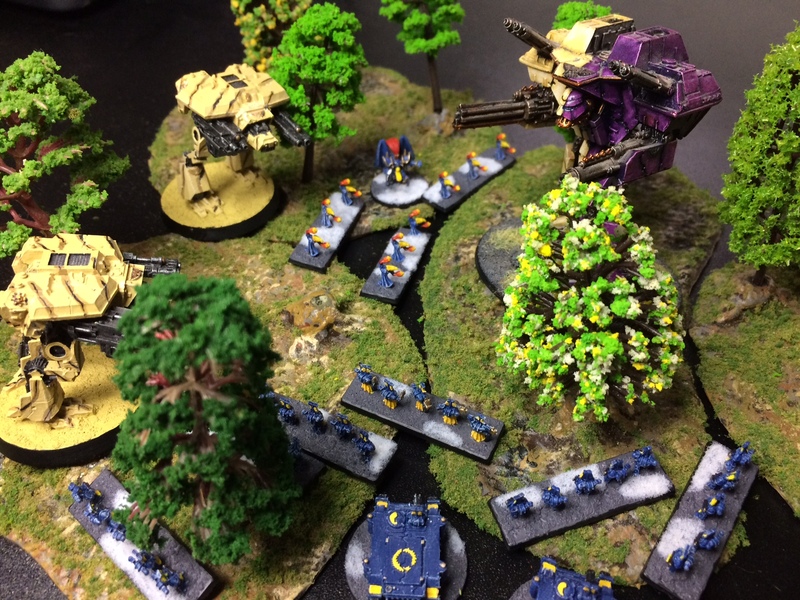 This leaves Tau often having the upper hand early on, only to find everything collapsing dramatically on turns 3 and 4 if the enemy can get to grips with them. Generally speaking they are an army that really wants to close the game out by turn 3, as like Eldar they lack the resilience for a protracted engagement. 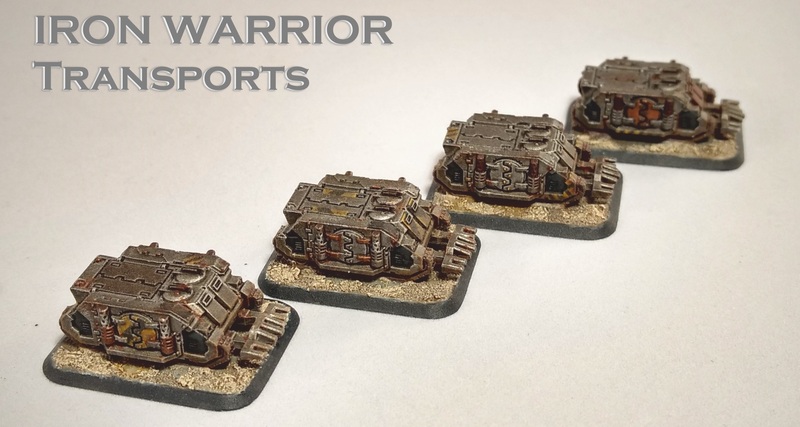 They’re a fun army to play with, and offer some interesting tactical options not readily available to many other factions. This section has been provided by the sinister and arcane RichardL! May we all avoid the might of his armies. 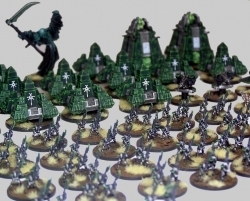 Necrons are on the other hand almost the polar opposite. The army is pretty much wholly assault orientated, and excels at alpha striking an opponent while minimising the potential for retaliation. The core of the army is built around their phalanx formations combined with portals (such as monoliths), which allow them to deep strike, and then hit and run in and out of portals. They are one of the harder armies to learn to play against, but do have a number of weaknesses – their mobility other than their portals is relatively low, and their inability to march compounds this issue. 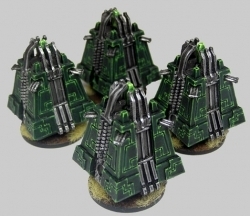 Generally this means that a sensible opponent either focuses on monoliths and other portals or completely ignores them, as this brings us on to the signature ability of the necrons, that of ‘phasing out’ when broken and then placed back in reserve. This allows vehicles to deep strike back onto the board after rallying, giving huge tactical options in dealing with an opponent’s movement. One of the other big advantages is that you can decide when you strike. 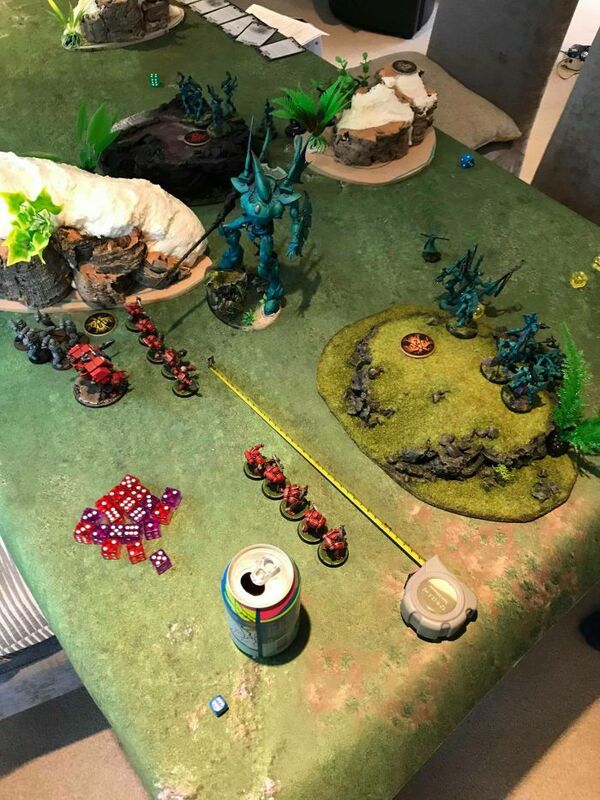 Personally I favour overwhelming a flank and attempting to break the back of an opposing army on the first turn of the game if at all possible, however another equally valid option is to give the opponent a free board on turn 1, and see if he breaks up his formations, making sections of the army easier to wholly destroy on later turns, especially if this opens up a vulnerability to take down their BTS. 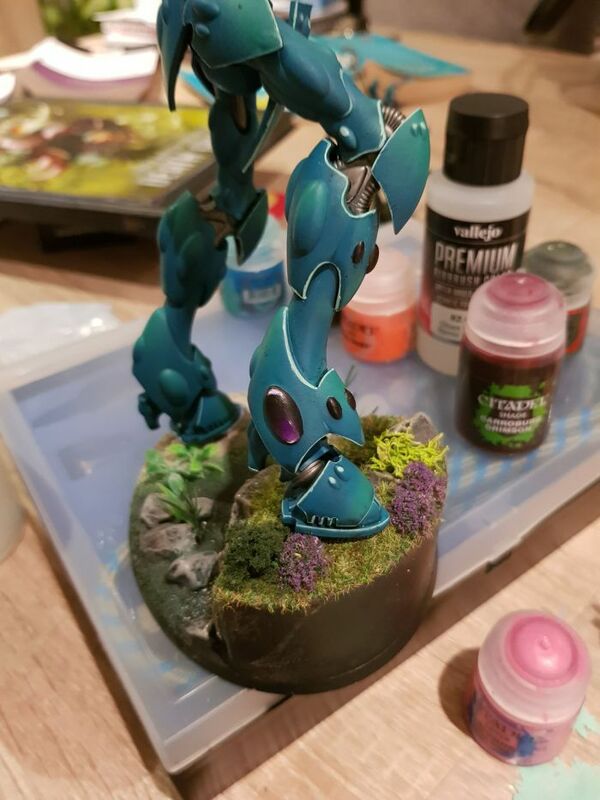 Necrons can be fun to play, although can be a bit ‘one dimensional’ at times given their laser like focus on engagements. They can also be frustrating to play against until you learn techniques to deal with them effectively. The gribbly monsters from beyond the stars, come to devour us all. What’s not to love? 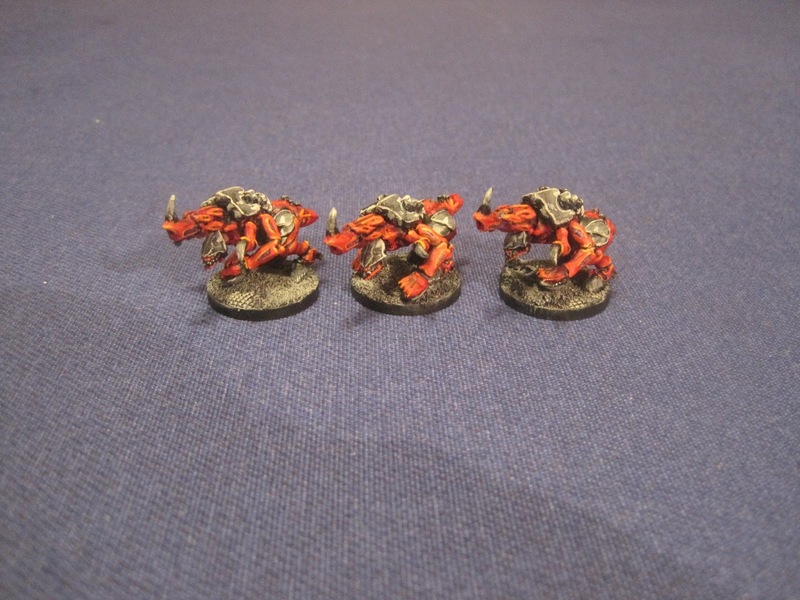 The Tyranids are an engagement heavy force with some limited firepower and vast swarms with surprising ground speed. They also have some unusual rules interactions due to their Synapse special rule and an abundance of numbers, scouts, infiltrators, teleporters and so on. Learning when and how to utilise these rules in concert with one another is key to your success. Conversely you will find that your shooting is short ranged and fairly lackluster (your only long ranged option is Dactylis firing indirectly out to 90cm, which requires them to remain still and sustain) usually out to 45cm or less. Your army has several units unable to take part in Firefights and even when they can they’re often not particularly good at them. You do however have sheer numbers on your side so despite generally average or poor FF values the sheer weight of dice will add up. The Synapse rule is fairly simple – For any formation with at least one synapse model you treat Termagaunts, Hormagaunts and Gargoyles as expendable fodder, their deaths do not cause blast markers, nor do they count as kills in Engagement resolution. Also you must have synapse to capture objectives. So while they may not have the scariest statlines they’re competent enough considering their deaths are meaningless to resolving your victories. This increases the importance of synapse units for your formations so make sure to place them sensibly to protect them. The expendable nature of some of your troops – especially in the large formations that come with them – changes up how your engagement maths plays out. Because only the non-Termagant/Hormagaunt/Gargoyles count for kills in resolution you can set up engagements where the only reliable way your opponent can score any points for the resolution is through blast markers (oh yeah, it’s tougher for you to accumulate those! ), outnumbering (oh yeah, you come in really big formations!) and Inspiring (drat, don’t have any of that yourself…) meaning if you can just throw enough attacks you can win any engagement through kills alone! Remember the maximum (normally) possible for an opponent to score in an Engagement, without kills, is 4 (outnumber more than 2-to-1 for 2 and have no blast markers while you have at least 1 for 2 more) so if you can at least kill 4 enemy you get a draw and a 5th kill gives you a winning edge on the roll off. Putting a single blast marker on the enemy formation strips away one resolution point, having a big formation size prevents the outnumber 2-to-1 for another point shaved off…you can pull off some risky engagements and come out on top if you can commit enough of your disposable bodies to the fight! Cover is also your friend. Every one of your units can go through difficult terrain (except things like razorwire) without penalty or risk of being harmed by it (including the armoured vehicles and war engines!) and in many cases this will grant a better save than what you’d normally have as well as the -1 to be hit. Try to dart from cover to cover as you approach. Having a look at the stand out units. 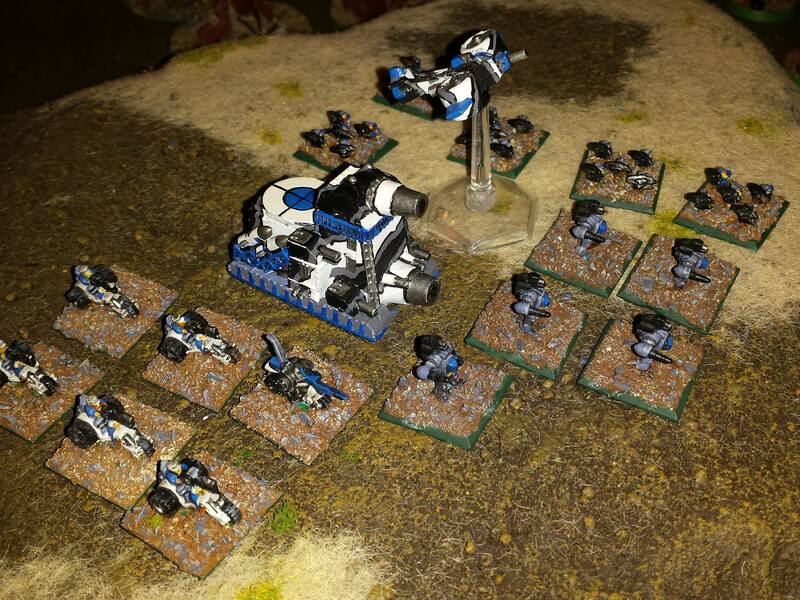 Your army construction requires Core units to unlock the other options and the big one is the Assault Swarm. 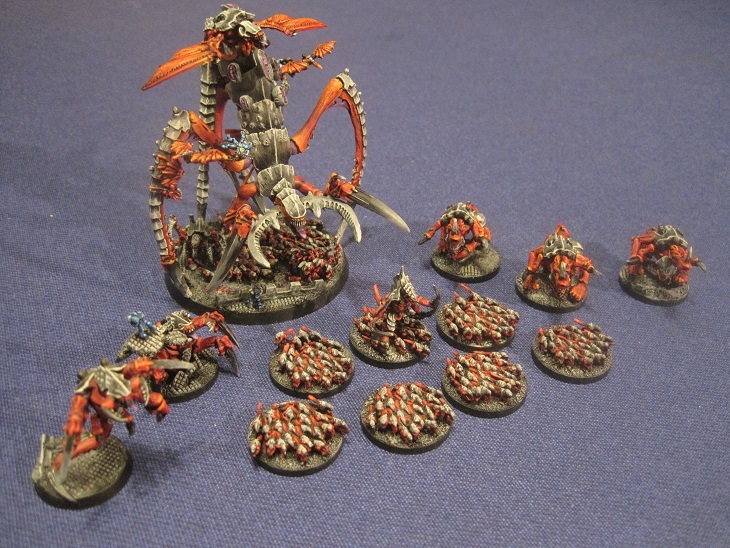 This epitomizes the tyranid playstyle by having only two units that ‘matter’ and a cloud of disposable troops. The smaller version is cheap and efficient while the larger one is a serious threat requiring a real commitment of resources to deal with on your opponent’s part. It wants to engage, you can add upgrades giving it more combat power or some additional options such as ranged attacks and they are pretty good places to add some shooting attacks. If you do want to add shooting make sure you add more than one model with such an attack though. One blast marker would suppress the single shooter but to suppress the second the opponent would have to either kill one of the synapse creatures (which your model positioning should make very difficult) or they’d have to shoot the formation with a second different one just to place one more. This makes it tough to completely suppress the firepower of the formation and can be exploited to help your engagement maths – placing a single blast marker on the enemy is removing one of their few options to score points in combat resolution! However there is a risk with adding too many of the the non-Term/Horm/Gargoyles to the formations. namely that Synapse only treats those units as expendable. Having a half dozen exocrines, carnifexes, etc. 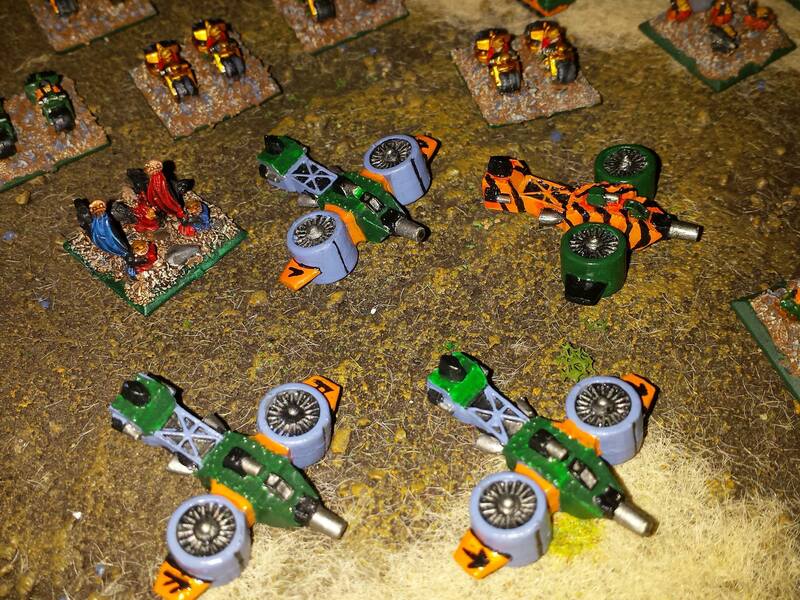 in there gives the opponent more ways of scoring points and blast markers back. I suggest that if you do decide to add these non-expendables you also consider adding some more of the expendables (or just take the bigger formation) to keep the ratio in your favour as much as possible. Oh. Don’t take Dactylis in these core formations, they’re better elsewhere, because you’ll want to be doubling or engaging with these core formations almost all the time you won’t be able to make much use of the indirect fire option and doubling really badly damages the odds on barrage weapons. 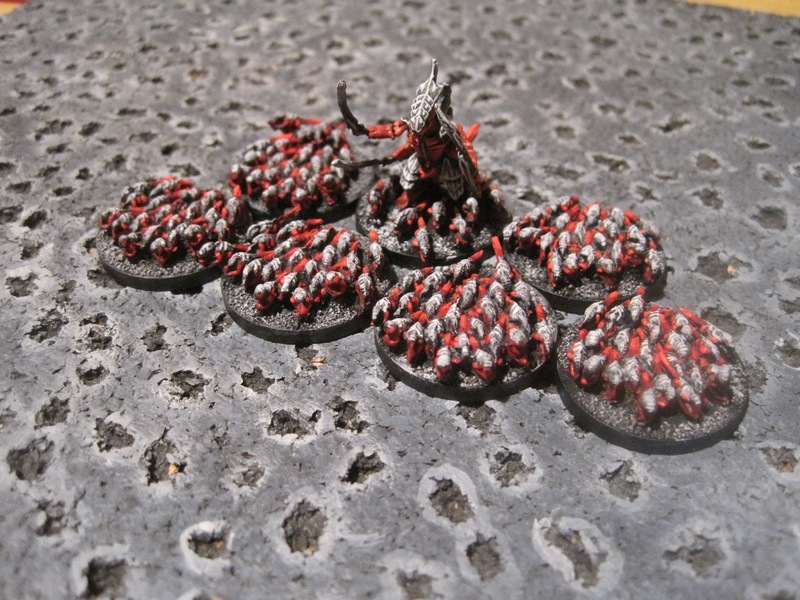 The other core formation is the Brute swarm that, in the basic 4-model version is questionably worth its points. Not slow but not that fast, can have some impressive volume of fire (with Exocrines) but suffering from range and and potential cover and movement penalties making it unreliable. The other two are engagement only troops and they also don’t benefit from the expendable nature of things by default. You need to add some termagaunts to be able to exploit that rule but that starts racking up the cost to get them to a large enough number to be worthwhile whilst also slowing down the formation further. I recommend taking this formation in the double strength size unless you’re just looking to bulk out activations (though…for 25pts more the assault swarm is probably better for that job too as it’s considerably tougher for your opponent to strip it away from you). Taken at double strength and it’s an actual fighting formation that does it’s job without needing more points spent on upgrades. It does have a very flexible set of upgrades available to it though including making a very big, expensive one with a Heirodules and a cloud of termagaunts. No matter what though this formation only has access to the Hive Tyrants as synapse so can have real trouble controlling objectives so it will need other formations to do that work for it. The rest of the list is split between Rare and Support and these are competitive, giving you options and allowing you to counteract the enemy being able to exploit your limited playstyle provided by the Core formations alone. Stand outs here are the Spore Clusters and Genestealers. 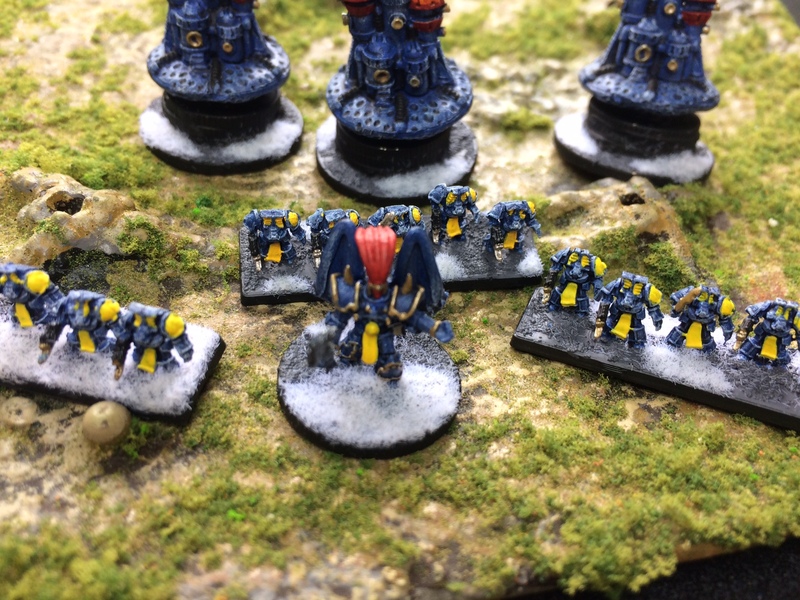 Spore Mine clusters are big skimmer scout formations for cheap, deploy forward and also kept back with the rest of your army (i.e. : more than one formation!) and they provide AA force and block enemy movements. Just pay close attention to getting intermingled, you don’t want that. Basically being a scout screen that also screens against enemy aircraft. The Genestealers conversely are there to capture objectives and wipe out the enemy scouts and smaller support formations. 40cm engage range for CC, first strike and multiple good attacks and they will beat most scouts and cheap garrisons removing the enemy units that are likely to try and stop you getting into favourable positions to engage from. They’re also all synapse so can actually control objectives! 6 is cheap for 150pts also helping pad activations while 225pts makes a horrendous engagement attacker, deployed in cover just off an objective as close to the half way point as you can – 18 4+ CC first strike attacks should allow that formation to utterly dominate the middle of the board whilst also being disposable enough to sacrifice to take attention away or delay the enemy. The other sets of options you want to consider carefully, adding in new different ways to interfere with the enemy plan and their possible counters to you is likely more useful than taking stuff that just improves what you’re already good at. The Harassment Swarm with extra gargoyles is 300pts and should give you a good way to counter enemy flanking forces and prevent the enemy from easily capturing your objectives. Remember Synapse can control but anything can contest an controlling the objectives in your half is only worth it if you control all of them…so usually pretty difficult. The Trygon and Raveners are another new tool in your arsenal, allowing you to attack deep in the enemy half or strike when and where you need to with their Teleport. 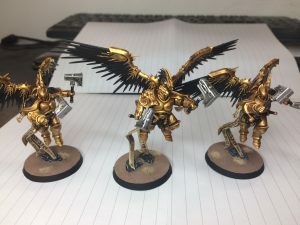 One Trygon and two raveners (i.e. : not upgraded) is probably enough to take out artillery and other small stuff or at the least put a dent in anything else to render it considerably less combat capable. The smaller size also keeps the points down on something likely to die and reduces the chance of rolling 1s when teleporting in which helps with both activating and not giving the enemy free combat resolution points. Finally is the Nest Swarm, it can’t move but also can’t garrison (because it has to have term/hormagaunts and they are speed 20cm) so is best used as a blitz guard where it’s pretty good at the job. 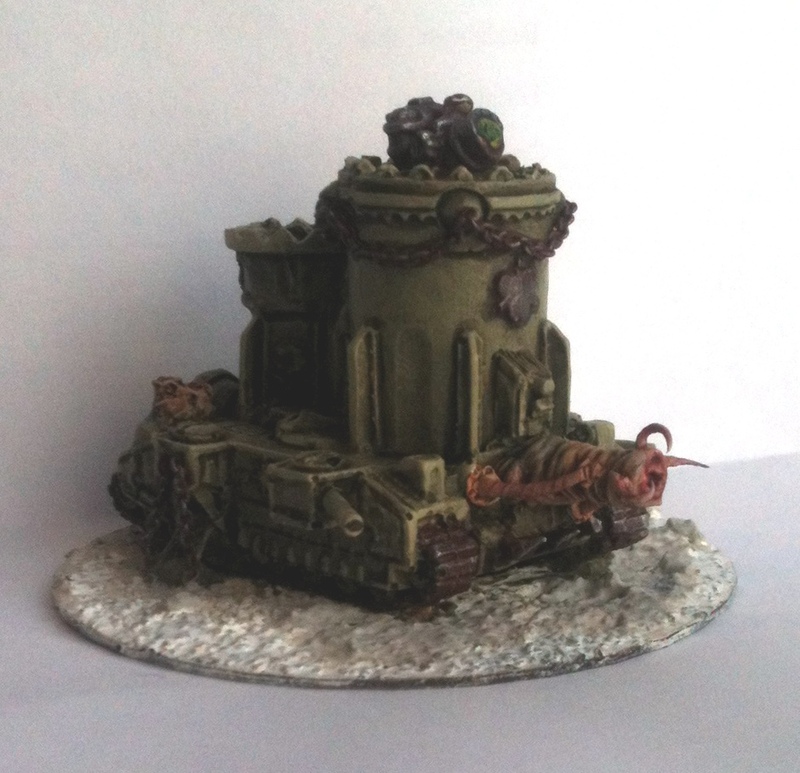 This is also the place to put Dactylis or Biovores if you want them as they will be staying still and able to indirect fire effectively just not quite able to attack the enemy deployment zone from turn 1. Hopefully there’s something helpful to you in here. Thanks again to all of the contributors from the community for their help with this article, I’d never have been able to put it together without you.